Aristide Saccard is on the move again. Brought low by ruinous business practices (see La Curée or The Kill), his wife dead, and his estate sold, Saccard winds calculatingly through Paris like a snake looking for an opportunity to strike. 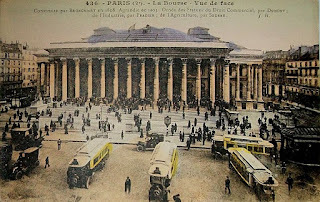 At first, he is certain that his brother, the government minister, Eugène Rougon, will come to his assistance, but when he hears that his sibling wishes to remove him from Paris for fear of embarrassment, Saccard makes a precipitative move, declaring he will open a bank that will be the financial success of Paris, a venture in which everyone will be clamouring to be involved. 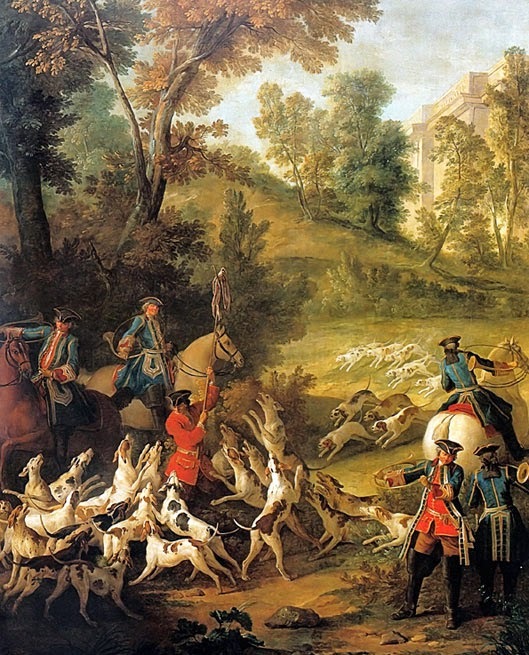 His passion and sheer energy sweeps people along with him, including Lady Caroline and her brother, Hamelin, honest and respectable souls, who admire Saccard’s genius. Yet in the world of big money and La Bourse (the French equivalent to Wall Street), allegiances can fluctuate, affiliations change, and behind every corner is the face of your own demise. 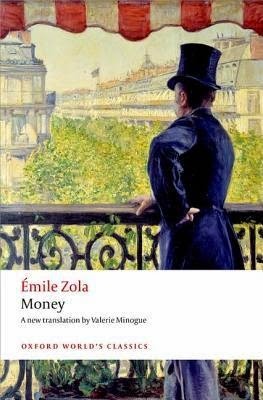 Zola paints an excellent representative portrait of Paris’ frantic and unscrupulous financial world of 1863-during the reign of Napoleon II of the Second Empire. We see how alliances and loyalties are formed only on the basis of financial gain, yet human concern or family loyalties have little value. Zola demonstrates through his narrative and his colourful characters, how the lust for money, greed and power are not merely promoted, but in fact, worshiped. As Saccard cleverly constructs his colossal financial empire, he is captivated by money but he is captivated by power more. The thrill of financial battle is as addicting as as drug, and he is high on the power and the ultimate campaigns fought to gain it. It is a house of cards and each trade, each purchase, each decision, is perhaps the one that will cause its downfall. Also explored are the feelings on anti-Semitism prevalent during the time. Jews were often seen as good for loans but with little else to their character or worth to recommend them. In a world were humanity is held in so little regard, this racism is another head on the monster of greed, power and manipulation. 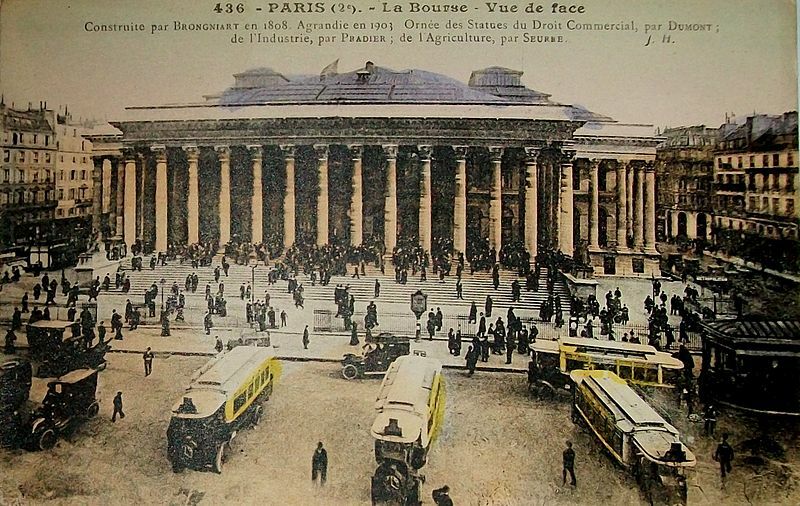 With his usual descriptive flair and creative technique, Zola allows the reader to skim along the surface of the narrative, to first get your bearings, before he draws you into the story and you are held captive by the machinations of the characters, the vivid depictions of Paris and the power of that elusive yet ever-coveted currency, money. This book was not Zola’s favourite to write. “It’s very difficult to write a novel about money. It’s cold, icy, lacking in interest ……” Zola said in an interview, but he declined to demonize it, instead choosing to show the effects of its worship in a work that would “praise and exalt it’s generous and fecund power, it’s expansive force.” His technique certainly worked, as the reader becomes the observer of an inanimate object that effectively controls the lives of an empire. Zoladdiction 2015 – Here We Go …….!! 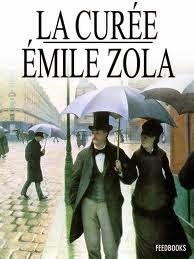 Thanks to Fanda and her wonderful hosting of this yearly event, I have a chance to read from one of my favourite authors, Émile Zola. 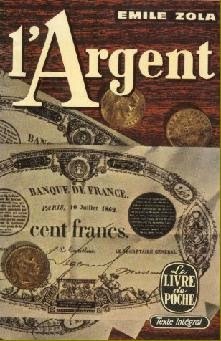 I’ve been reading through his Rougon-Macquart series, admittedly more slowly than I would like, and I am now set to read book #4, L’Argent or Money. I’m rather awash in books at present, so my reading may take longer than one month, but I’m going to attempt it. Yet however much I’d like to, sadly I’m not going to take part in the Germinal read-along that is paired with this event, but I encourage everyone else to! Please join, one and all! It’s an event not to be missed! 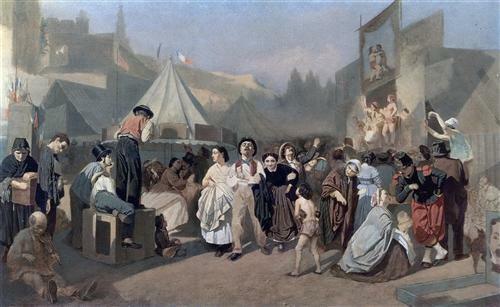 The title of Émile Zola’s third novel (in Zola’s recommended reading order) of the Rougon-Marquart series, La Curée, or The Kill, refers to the spoils of meat thrown to the dogs at the completion of a hunt, and so is a reflection of the wild and uncontrolled speculation in Paris of the 1850s and 1860s, where monetary greed runs rampant, spewing the biproducts of immorality, licentiousness, fraud and hypocrisy. Aristide Rougon, has arrived in Paris from Plassans with his first wife, Angèle. Poor and provincial, Aristide dreams of wealth and a life of luxury and notoriety. Ignited by his near fanatical desire for money, he manages through dishonest dealings to cheat and finagle his way into property speculation in this city, that is expanding at a near-combustible rate. 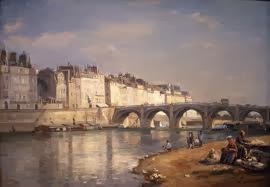 Aristide changes his name to Saccard and, as his wealth grows, after the death of his wife he marries the young Renée Béraud du Châtel and later brings his son, Maxime, to live with them in Paris. Renée, perpetually bored, is delighted at the thought of someone to pet and coddle and use as a tool to gain attention, and so becomes highly involved in Maxime’s moral development (or perhaps I should say, amoral development). When we meet him in the novel as a twenty-year-old young man, he is happily aping his parents’ generation, as money flows through his fingers like water and unlimited pleasure is sought as nourishment, with little regard for the consequences. As Saccard’s insatiable lust for money drives his every action, and he balances on the wire between wealth and ruin, Renée and Maxime fall into a comfortable and close relationship, which becomes the catalyst for a semi-incestuous affair driven by Renée’s boredom and lust for a new inventive perversion. Yet instead of being entertained and satisfied by their liaison, through different circumstances, Renée finds herself debased and abandoned. 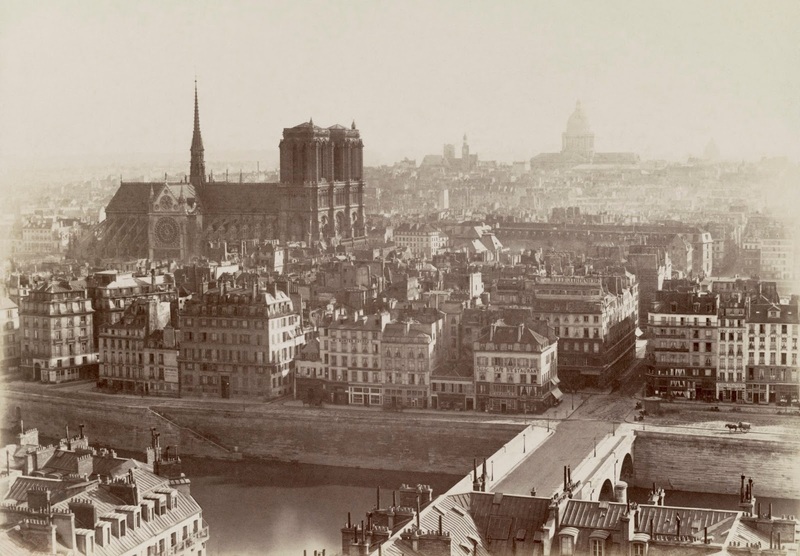 There are no loyalties in the new Paris, except with the reward of monetary gain, and true human feeling has all but been extinguished by obsessive desires for money and decadence. Renée is a casualty of little importance. Zola’s novels have an air of tragedy about them that is not necessarily brought on only by the actions of the characters or the plot of the story. In Zola’s eyes, each character is trapped by their inherent nature in a cycle from which they cannot escape. They are helpless and we get the sense of a drowning man who cannot be rescued, or a figure who cannot be pulled from in front of a speeding train. This echoes the ideas of fate supported by the ancient Greeks, in that there is nothing you can do to change your destiny. I’m not certain that I agree with his presentation. We all have the ability to choose in each situation and, while each choice may entail a different degree of difficulty, our decisions do shape our fate to a greater or lesser degree. Choice is what separates man from animal, and Zola’s portrayal of man trapped in an hereditary cycle exemplifies the destructive consequences when man follows only his instincts without an ethical or moral base. This was the only Zola I was able to finish for Fanda Classiclit’s Zola Addiction, but I was happy to finish only one. Zola is not an author I want to rush through; he makes you want to sink into his settings, try his prose out on your tongue and learn more about the historical content. Money is the next Zola on my list and I’m looking forward to it! I have begun reading through Émile Zola’s Rougon-Macquart series, already having completed The Fortune of the Rougons and Son Excellence, Eugène Rougon. My next book is La Curée, which I had planned to start soon. Well, imagine my surprise and delight when I stumbled upon Fanda Classiclit’s Zoladdiction challenge for April 2014! Of course, I didn’t even have to think to decide to participate. Register yourself in the link below (submit your blog or Goodreads’ profile URL). Help me to spread the Zoladdiction, either by putting the Zoladdiction button on your sidebar, or by discussing the event on Twitter using hashtag #Zoladdiction. Start reading Zola’s works when your calendar turns to April 1st, of course. In addition to reading the books, you are welcome to post anything concerning Zola during April. The master post would be up on April 1st with a link where you can put all your posts. There’s no level or deadline, you can satisfy (or start, if you’re a new fan of Zola) your Zoladdiction by reading as many books as you like the whole month! I encourage you to post a brief wrap up in the end of Zoladdiction (the link will be closed only on May 10), and let us know how do you feel/think after delving into Zola’s works for a month. 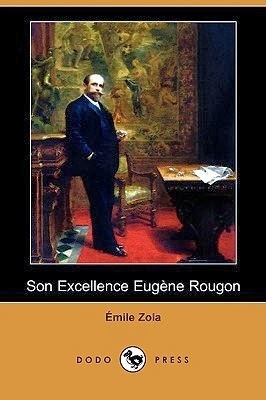 I had met Eugène Rougon in Zola’s first book of the Rougon-Macquart series, The Fortune of the Rougons. The oldest son of Pierre and Felicité Rougon, he had been stationed in Paris, working for the cause of Louis-Napoléon Buonaparte as Emperor Napoleon III. In Son Excellence, Eugène Rougon, we encounter Rougon as a man in disgrace, a man who has offended the Emperor and who has decided to resign before he is formally removed from office. As he packs up his documents, a myriad of characters flow in and out of his office, almost in the formation of a dance, and each individual is as colourful as the next. Yet as the respective characters speak their piece, the dance turns into a circling of sharks, as they all wonder how their position will be affected by Rougon’s fall and how much he can still impact their various personal causes. The book chronicles the political scene in Paris during the government of the Second Empire under Emperor Napoleon III. Through Rougon, we see the political machinery grinding through the career of a politician; his fall from favour, his subsequent rise through the help of his sycophantic supporters, their fickle desertion, and so forth. Behind the glamorous facade of the Second Empire, manipulation, betrayal, coercion, conspiracy and fraud seep from between its seams, and only the clever and opportunistic will survive. Chameleon-like Rougon is a man who knows how to bend with the force of political volatility. Initially, after giving his resignation, he is slow, methodical and patient, rather like a toad waiting in the mud for an insect to come buzzing around his head. Yet when he regains his title as minister, he comes alive; robust, loud, and outspoken, he soaks in the approbation of those around him while ruling with a heart of iron. Yet Zola does a marvellous job of retaining his provincial nature; his sometimes wild, untamed speeches and stubborn and shortsighted actions reveal a man who has not been able to completely shake off the country dust of his origins. Zola’s prose is so exquisitely compact, yet with it he constructs such a wide scope for the reader. I felt I was really present during the baptismal procession for the Imperial Prince; I sensed the barely suppressed excitement in the air, the feel of the crowds and people pressing against me, the impatience, the festivity. Zola doesn’t just allow us to view the Second Empire with words; he takes us right into its grandeur, its character and the various intricacies that gnaw at its foundations. This novel is not amongst Zola’s most popular books of the Rougon-Macquart series, but I really, really enjoyed it for its dynamic appeal and attention to detail. Can Zola write a poor novel? Somehow I don’t think so.